Caan Berry Review 2019: Is His Video Pack Worth The Money? Caan Berry Video Pack Review: Is It Worth The Money? Caan Berry is a professional Betfair trader. He pulls in over £100,000 a year. Note: This earnings claim has been privately verified by Beating Betting. We have been shown proof of Caan’s premium charge which is a tax enforced by Betfair on their most successful traders. This is something that can be edited, but appeared to be genuine. Betfair trading is one of the most exciting and interesting ways to make money online in the modern day. It can take a while to grasp, but the psychology behind how it all works is fascinating. Trading requires patience and practice to learn and master. 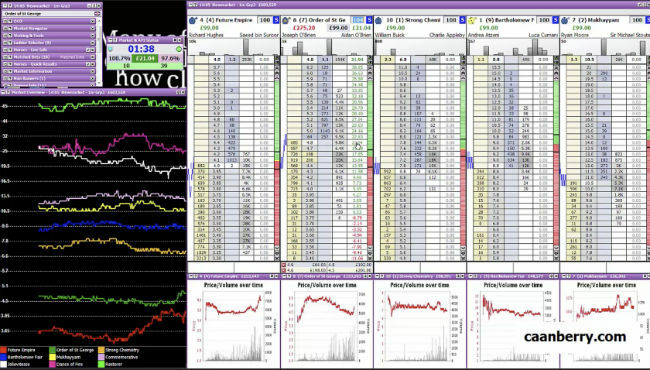 Because of the premium charge that is enforced on top traders, Caan Berry has looked to diversify his sources of income by releasing Betfair training guides. These guides aim to teach regular people like you and me the ability to trade at a profitable level. Do his training guides really work? We’ve managed to get our hands on Caan’s most in-depth (and most expensive!) product. 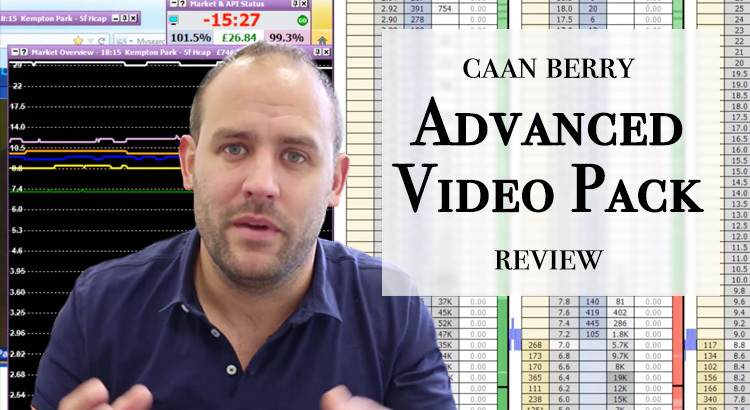 We will cover everything there is to know, along with our opinions, in this Caan Berry Advanced Video Pack review. What is Included in the Advanced Video Pack? Is the Advanced Video Pack Any Good? 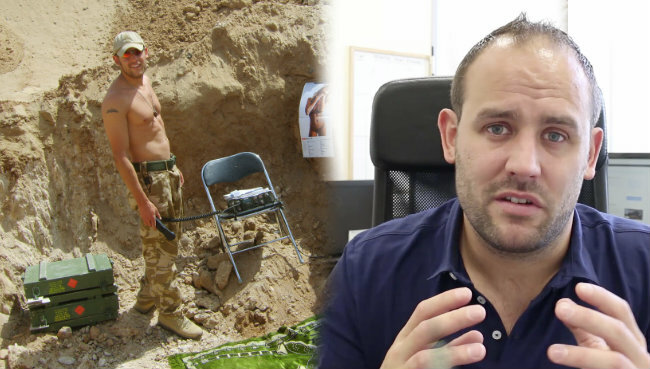 Caan was in the military from the years 2003 to 2010, and first started Betfair trading in 2009. That sounds like a match made in heaven, right? However, this is only true in theory. Caan was impatient and regularly had a poor attitude when he was in the army. Before he joined the military, he was flipping burgers in McDonald’s for minimum wage. He was in with the wrong crowd. He was regularly getting in trouble. He had no set plan of where he wanted to be in life. …Someone that makes the best possible decision at the best possible time, constantly. But he proved that anyone can do it – regardless of circumstances – if they put their mind to it. He now trades, runs a successful YouTube channel with thousands of subscribers, and is regularly active in many Facebook communities that discuss trading. He’s been featured by Betfair themselves in a marketing campaign exclusive to traders with £100k+ profits. He also proves in this video that he’s completely genuine; showing his profit and loss statement on camera for all to see. Losses can rarely be avoided and he doesn’t shy away from this – you can see plenty mixed within his winning results. The trick is keeping these to a minimum. However, you also see that his account has a £174.09 profit on the day of the video. He describes this as a poor day that “proves he’s only human”. The day before the video was recorded he made £492.30 and was up £2,005.47 for the week overall. Again, that’s all shown in the video linked above. In the Betfair trading course that we’re reviewing in this post, he aims to teach you to replicate his success step-by-step. But aiming to do something is just one small piece of the puzzle. What we wanted to find out, and if you’re reading this then you’re probably wanting to find out too, is the Advanced Video Pack worth the money? Betfair trading is not a fixed system like matched betting. You cannot go into something like this thinking that you will make easy money like with matched betting or arbing. Trading requires dedication to learn. It’s also something that can never truly be mastered – you will always be learning and improving. It’s estimated that only 5-9% of people will make it as a successful trader. It is definitely a skill. If you don’t have any spare time, or you don’t have the desire to learn and execute this exciting challenge, then honestly…you should just quit now. You are not guaranteed to make a profit doing this – especially if you aren’t committed. You won’t find ANY matched bettors making £100k+ a year through one account, that’s for sure. You also can’t be stake restricted or anything silly like that. The knowledge you pick up can even help you as a matched bettor. Are you determined to make a real go of this? If you are, then you can find out everything there is to know about the product below. The Caan Berry video course is not for total beginners. 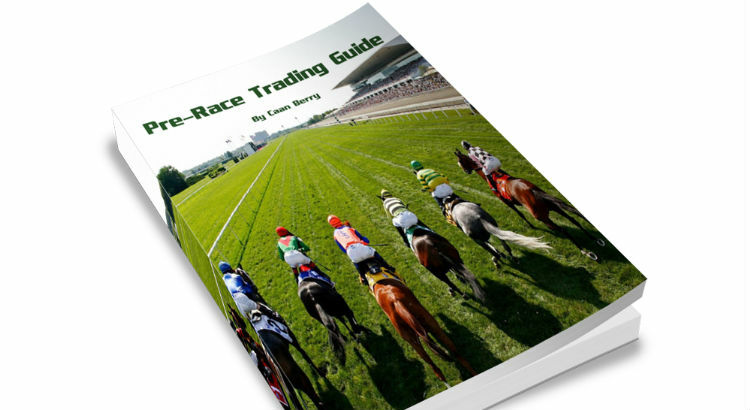 This product is the Pre-Race Trading Guide, it costs just £39 and is well worth the money. We’ll have a full review of that guide soon, but you can check it out and purchase it yourself by clicking here. That guide will get you to the level you need to be at for the advanced video course. As the name suggests, 99% of this course is in video format. If you like to learn by watching videos and seeing someone record their trades live then this is the course for you. The vast majority of the lessons show Caan actually trading horse racing. It’s all well and good being able to read and learn about trading strategies and theories, but seeing them applied in a practical manner is a completely different ball game. The help this gives you as a Betfair trading student is just unrivalled, if of course you like to learn in this way. It’s scientifically proven that video improves your learning results. Many people are shocked when they see a high price online, but it’s essential to consider the value something is offering rather than simply its cost. The cost of the Advanced Video Pack is £147 – which seems high at first glance. The course has 22 separate sections of video content. The first section is an introduction to the trading pack. As you can see, there are a hell of a lot of videos included in the course – 94 to be precise. It means you’re paying just £1.56 per lesson. Would you pay someone a couple of quid to give you tips that could make you hundreds or even thousands of pounds? Caan regularly goes back to add more lessons at no additional cost to anyone that has already purchased, meaning it essentially gets cheaper as time goes on. All of this content, given to you in bitesize chunks of typically 3-10 minutes, is completely unique insight that can’t found elsewhere. Once you watch one video, you mark it as ‘complete’ and then it will take you to the next video. When you complete the section, it will automatically move you onto the next section. A large number of the sections also come with additional checklists that you can use to further enhance your learning experience and trading ability. Again, these checklists are unique to the course and can’t be found anywhere else. If we were to judge this course on quantity of information alone, it simply couldn’t be faulted. We’d even argue that based on the quantity alone, the price of £147 – available through this link – is cheap. It’s clear that the course has taken months of effort and dedication to put together, and is still being added to even to this day. However, content can’t be judged on quantity alone – far from it. We have to put a large focus on the quality of the video course, and that’s what we’ll look at next. We’ve already established that there is a hell of a lot of information in this course. If we had a few weeks of time, we could easily record 94 videos and upload them to a website. Caan could have taken the hundreds of blog posts from his site and essentially recorded himself reading the same tips. He could also re-record, or simply re-use, some of the many videos from his YouTube channel. What we were really looking for in the Advanced Video Pack was unique insight. If the information in the course wasn’t unique and could be gathered for free elsewhere, then why would we pay for it? Fortunately for us, it was clear from the very first video that the course offered significant quality and fresh information that could not be found elsewhere. In his blog posts and YouTube videos, he is giving information away for free. And all of this is good information. He has a genuine passion for Betfair trading and a real desire to help other people become a success in the area too. Is he really going to give away his great information – his very best tips – for free? Especially when giving away these tips will lose him money. Why would he lose money? Because you’d be competing with him in Betfair, using his knowledge against him whilst giving nothing back. Now, he is willing to give away his very best tips in the course because you’re paying him for them. And the cost of the course is less than his average day’s profit. Why would he sell his information at all? Because Betfair tax him so much with their premium charge that he simply has to look for other ways to make money alongside his trading, in order to pull in the level of net profit his knowledge deserves. That seems like a fair deal to us. 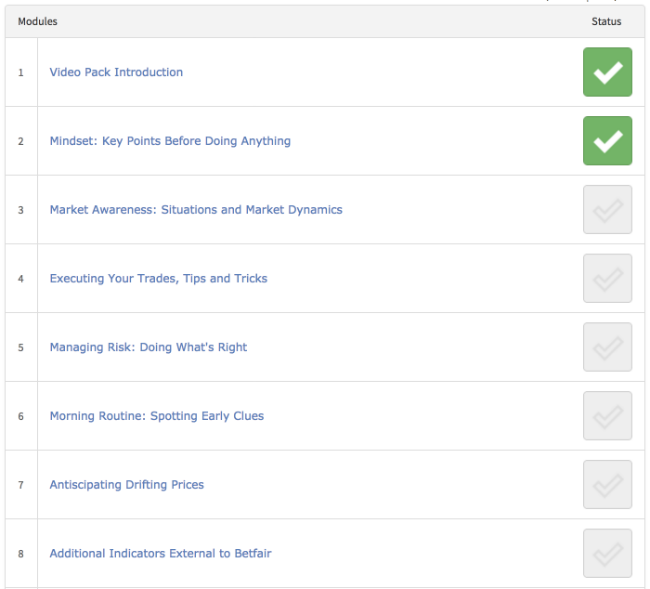 Whilst watching the course, regardless of your current trading knowledge, you’re not going to be picking up tips every second of every video. It would be impossible to churn out unique information non-stop for over 90 videos of content. Impossible. However, we would say there is at least one tip in every video – sometimes significantly more – that will give you that lightbulb moment in your head where things start to fall into place. There are also several other things in every video that will get your brain ticking and generating ideas; giving you a much more rounded knowledge of trading overall. You may have read the same tip five times over on different sites in the past, or you may have heard it from a friend, a tipster or whoever. Seeing the tip put into action in a live trade is a hundred times more beneficial than simply reading it on a random website. And throughout the course – in every video – you see these tips and strategies being used time and time again right in front of your eyes. Not only does this help you to get a better understanding of the strategies, but it helps you to naturally spot better opportunities when you’re trading. After all, you’re watching a professional and listening to him drill his ideas and theories into your mind. It will make a noticeable effect to your knowledge, but also help you subconsciously whilst trading too. We feel that the videos are at an ideal length for learning. They’re long enough for you to pick up enough insight, but they’re not so long that you’re losing focus or getting bored. …And this is coming from someone who hated school and used to get thrown out of all of his classes! We only had one problem with the course and that was finding out how to access it on different days. To re-access the course after purchasing it here, all you have to do is log in to Caan’s site and then hit ‘User Profile Here’. When you click that link, the course(s) you’ve purchased will appear to continue through. Our only real criticism of the course is that there is no video pack download. Unfortunately, because of piracy, downloading it is not an option. You have to complete the course on the site itself. It makes complete sense and we understand the decision, but it’s just a slight shame. The support you get doesn’t just stop at the videos and checklists after purchase. If there is anything you can’t quite grasp then Caan is on hand via email to help you out whenever needed. Your questions may be answered with a simple – but useful – written answer, or they could even be turned into a video on his YouTube channel that will demonstrate and teach you the answer to your query. Added for 2019: There is now also a private community for serious traders. Anyone that has purchased this product gets access to the community to discuss things with other traders, and with Caan himself! We can say with absolute certainty that this is the most detailed trading course that we’ve ever seen, providing solid value for money. With that in mind, we’re giving it a perfect 5-star rating. We’d say that the Caan Berry Advanced Video Pack Betfair training course is perfect for anyone with a trading knowledge of 3 out of 10, right up to those with a knowledge of around 7 out of 10. If you think you fall into that bracket, there will definitely be a massive number of things in this course that you will learn from. If you believe your knowledge is not yet at a level of 3 out of 10 or greater then this is not the course for you – you’d be better off with the cheaper purchase of the beginner guide. To make the best possible go of this you need to be dedicated. It’s also essential that you have proper trading software like Geeks Toy and that you have an understanding of how it works. NOTE: 14 day free trial for Geeks Toy available through this link. Do you want to make it as a trader? If you do, we’d recommend investing just one day’s worth of your future profit in the course. Have you bought this product, or do you have any questions about it? I have noticed there seems to be other traders like Caan, I understand Peter Webb is believed to be the No1 in this field? How do you know which course is the one for you. I believe Peter Webb holds training classes at his offices in Hook. Do you know if the content of all these services are similar or is one better than the other? Peter Webb is an established trader – he owns Bet Angel trading software, so he has vast experience in the industry. I would absolutely recommend his stuff, as well as Caan’s. All of the videos are online in a private members area of Caan’s site. I am probably going to buy your Video Pack, but I have not own an video player the last 10 years. Does this videos exist in mp3 files or another format? I was wondering about this because I have the trading guide and that was value for money. I make some profit now but wanted to know if there are any videos of big racing meetings like Cheltenham? Thank you. Your site has helped my matched betting too. Looks alright to me Dan? What a nauseating review. At least try to make it look like you weren’t paid to make this. It might as well be Caan Berry himself writing this. It’s comments like this that make me glad we decided to be public about everything we earn and how we earn it! Did Caan Berry give you his Betfair user name and password? Or did he provide you with his own screenshot for proof? In 5 minutes I could demonstrate how to spoof a Betfair account page. Right-click the balance and choose ‘Inspect element’, then edit your account total to any figure you choose. As for the premium charge page, I’m sure anyone could find a template on the web that could be mocked up to look real. You can’t beat the market. Everything, without exception, is built into the odds, even so-called ‘value’. There is nothing you can do to win.